Before the release of our new DuoFlex, the Mighty Bright Duet was our first design intended to illuminate two pages of sheet music with bright white light. The Duet features two precision engineered optical grade lenses specifically designed to distribute a wide field of consistent lighting with no hard edges. The precision lenses work in conjunction with our High CRI LEDs (High Color Rendering Index LEDs) to provide better color rendering and even light output. Colors appear more vibrant and true, and with minimal optical distortion. 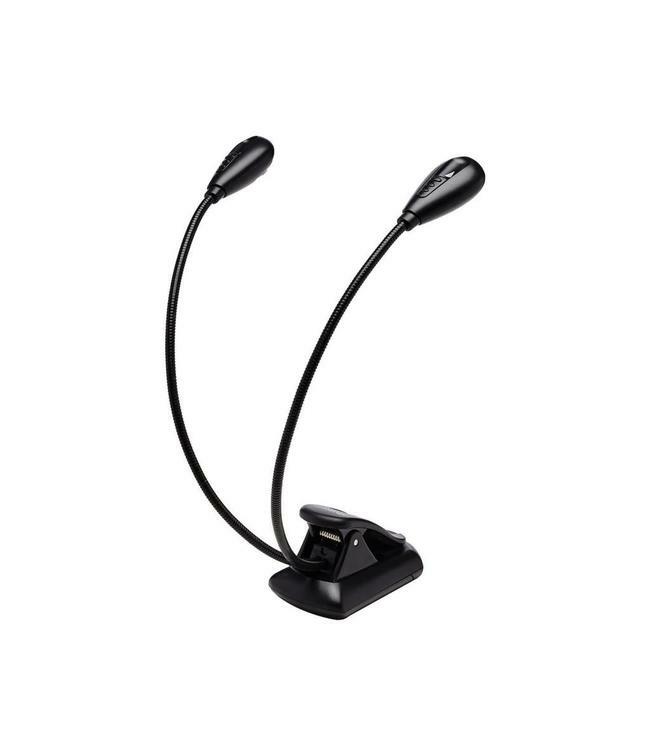 The Duet is a compact, dual-headed music light with 2 adjustable necks, and with one durable LED on each head. The two LEDs are rated for 100,000 hours and provide 20 lumens of bright white light with two brightness settings (10 or 20 lumens). It is powered by three AAA batteries with a typical battery life of 40 hours.